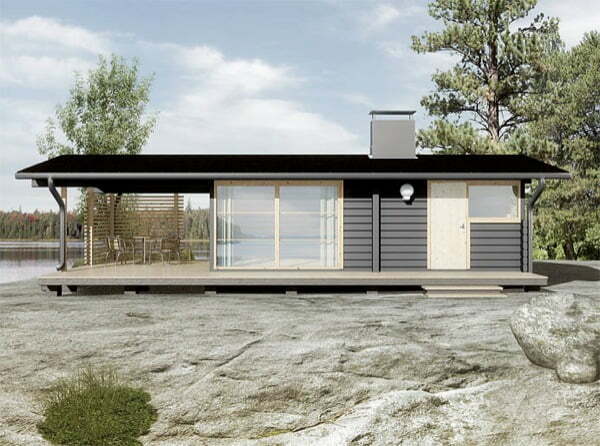 This cozy 242 square foot modern cabin by Sunhouse is a spacious getaway for nature-loving people. It can also be a haven for individuals who want to get away from the city life. Located in the middle of a scenic environment, this timber house offers privacy while giving you time to enjoy a quiet life. The large covered terrace of the Common Swift timber house is perfect for outdoor activities and its spacious rooms are perfect for indoor nature sightseeing and various activities for the whole family. The trees and plants surrounding the timber house add to the scenic view of the property. There is also a nearby lake which would be perfect to hold a swimming activity, fishing, or any water-related activities. 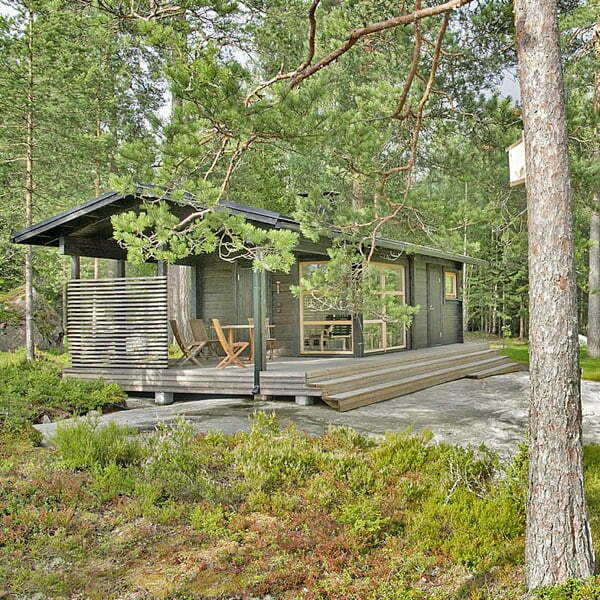 You can also take a leisure walk around the timber house or near the lake to breathe fresh air. 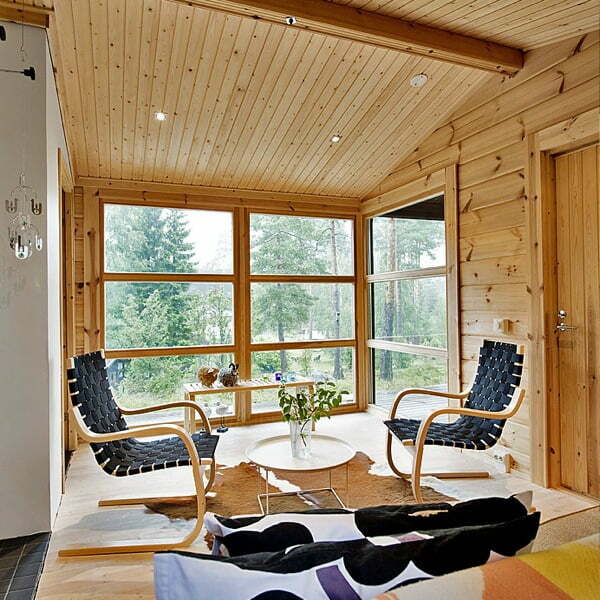 The interior of the timber house is designed like the Finnish sauna, which gives a relaxing feeling and peacefulness. The walls are painted white while the ceiling retains its original wooden color. Wooden furniture pieces like chairs and tables in the terrace and in the inside of the house make you feel cozy while you gaze at the scenic nature. People who want to live in a minimalist environment will love the simple house interior with only the essentials present. In addition, spacious rooms are also available where you can take a nap. Moreover, the glass wall of the timber house can give you access to the outdoors from inside the house. 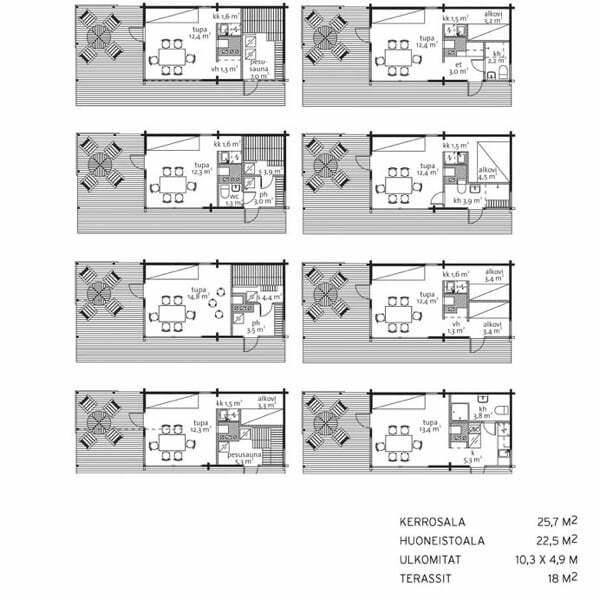 This house can also serve as a weekend resting house or a vacation house for you. The scenic nature around the timber house has a relaxing vibe. You can lounge on the terrace with your friends while relaxing or play board games or take a leisure walk around the spacious vicinity of the timber house. This timber house can be your weekend getaway from the city. The glass covered wall gives you an access from the inside without going outside. 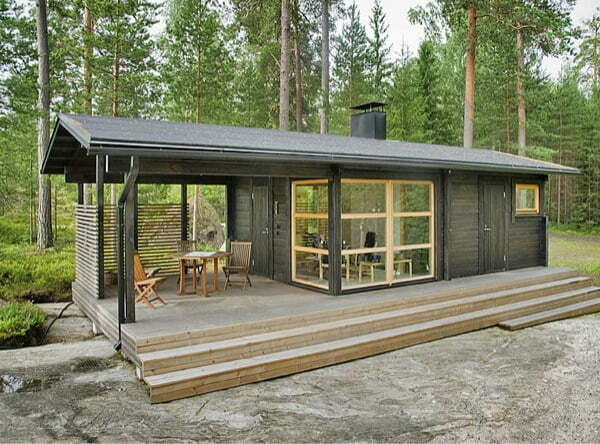 The wooden furniture adds relaxing feeling to the Finnish sauna-like design.